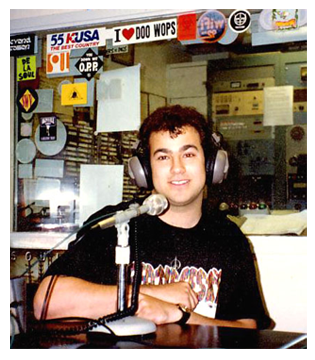 Lonnie Ostrow has been an innovator, storyteller, promoter and celebrity-insider for more than two decades. With Poet Of The Wrong Generation, he combines all his unique experiences to bring you a novel of love & betrayal, music & fanfare, downfall & redemption -- a fable of stardom’s rewards, set in New York City during the 1990s. I’ve always loved storytelling. Growing up on Long Island, I was captivated by make-believe since I first learned to read. Even when I struggled with math in the 4th grade, my teacher allowed me to submit a series of rambling, but creative short-stories for extra credit. Writing has always been my greatest ally. Poetry is another fascination of mine. As a child I often found myself jotting down lyrical, rhyming messages for friends and family on birthdays and holidays. In my teenage years, poetry was my expression of affection to girlfriends, and later a social commentary on the news and events going on around me. Eventually, poetic stanzas evolved into songwriting, which impressed some close friends, but ultimately stalled when my professional trajectory began in earnest. In my senior year at Adelphi University, I was assigned to pen a screenplay for a class project. A song I had composed a year earlier - Poet Of The Wrong Generation – inspired me to write about the rise of an unlikely pop-star motivated by a tormented relationship. I managed to weave six of my original songs into the script. The assignment earned an “A” and visibly moved some classmates. And then I tucked away the pages in a drawer, more-or-less forgetting about it for the next decade. In 1995, I stumbled upon a pop-culture phenomenon. One that would take me around the world, working with most of my boyhood heroes over the next seven years: The Living Legend Postal Salute. 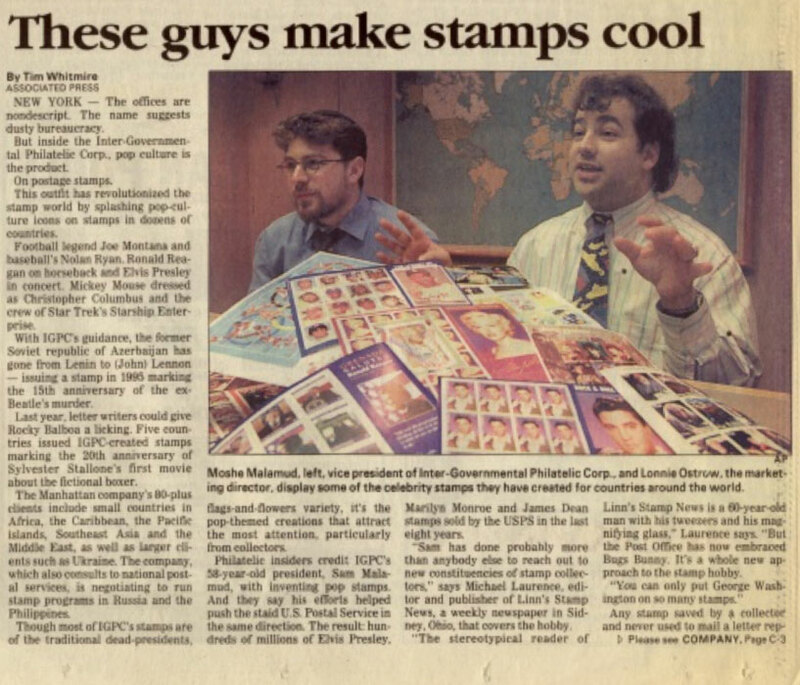 As director of PR, marketing and licensing for the world’s largest postal agency, it was my job to generate new excitement into the tired stamp-collecting hobby. Up till then, governments around the world had resisted in honoring living legends on legal tender for various concerns. Then along came Barbra Streisand. A Caribbean island (St. Vincent) agreed to honor the world famous singer/actress on a postage stamp, which would be unveiled at a concert in Las Vegas. And just like that the floodgates burst wide open. Before long, every celebrity-publicist, fan-club leader and talent-agent were lining up at my door, seeking to secure the next living icon to grace legal tender. 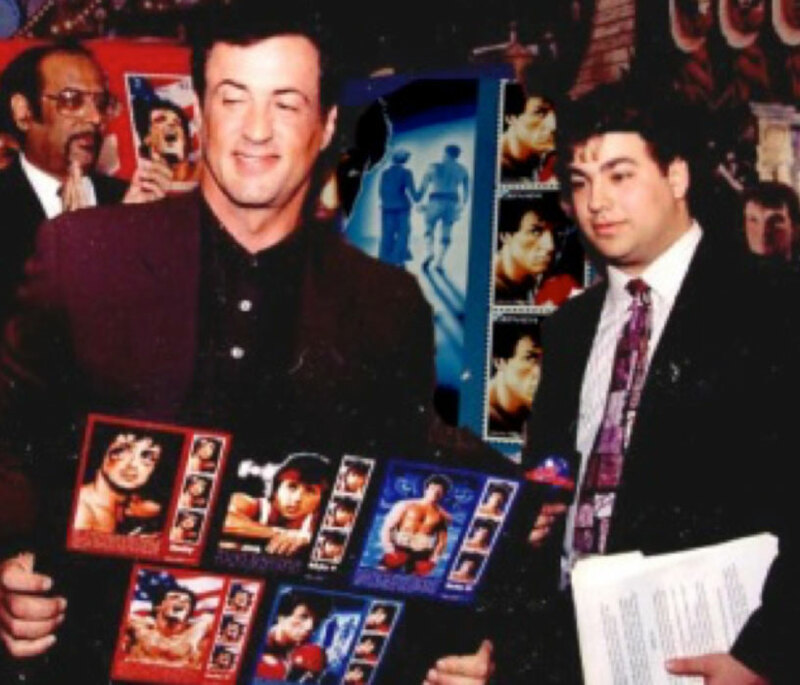 I got to work with the likes of Sylvester Stallone, The Bee Gees, Bob Hope, Bob Dylan, Kirk Douglas, Jackie Chan, Elle Macpherson, David Copperfield, Hulk Hogan, Joe Montana, The Doors, NSYNC, Maya Angelou, Sidney Sheldon and Monty Python among others. It was an exhilarating, once-in-a-lifetime thrill-ride. I got to rub shoulders with some of the world’s most beloved entertainers and gain insight into their lives and personalities. One day I’d be presenting a stamp design to David Copperfield at his spectacular Manhattan penthouse. The next I’d be racing out to introduce Mario Andretti at the Nazareth Speedway. 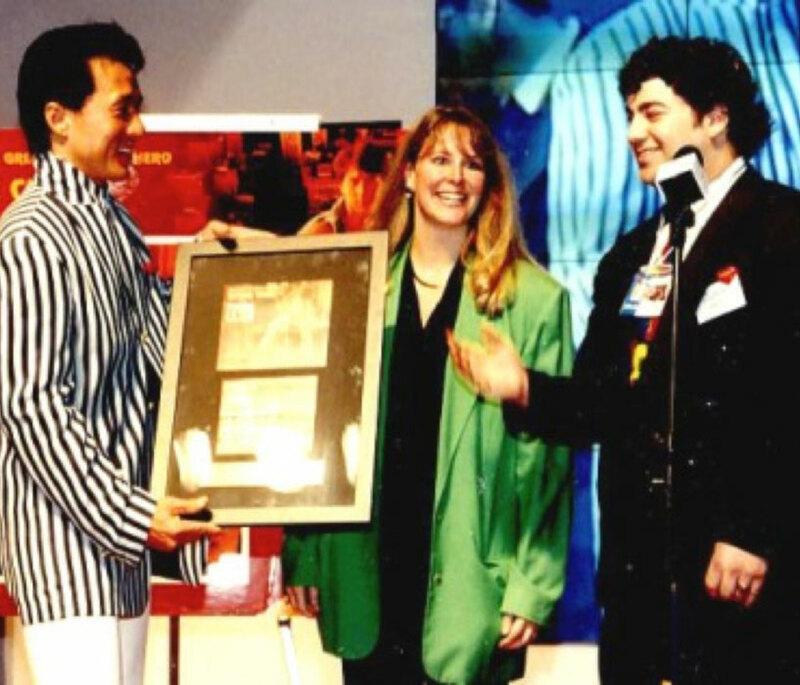 Not to mention the night I celebrated New Year’s Eve with Jackie Chan in the back of his yellow Lamborghini in Hong Kong. Most of these projects culminated with high-profile “unveiling ceremonies” which I organized and hosted in cities around the globe. The publicity was staggering, much to the delight of the honored celebrities and the participating governments. Best of all, it helped put stamp-collecting back in the news with a positive vibe. 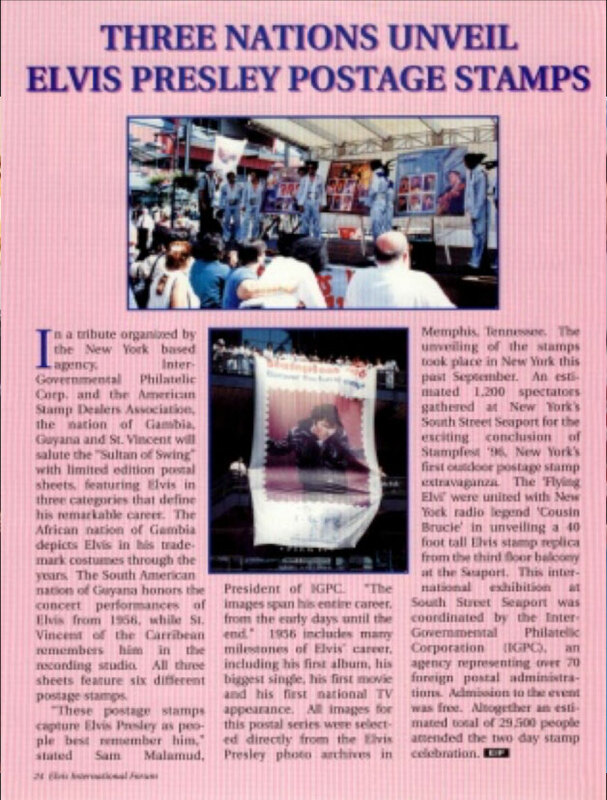 In 1996, I was challenged to organize the world’s largest ever outdoor postal exhibition. The result was Stampfest: A one-day extravaganza held at New York’s South Street Seaport. Over 27,000 turned out for a day of live music, a military flyover, celebrity appearances and… the first and only NYC skydiving appearance by the world famous Flying Elvi. All of it successfully tied into the launch of new postage stamps from our client nations. When the living postal tribute had run its course in 2001, I moved on to a boutique PR agency for a short, but memorable stint. 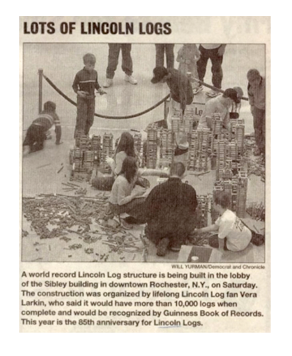 My biggest splash was in December of that year: a Guinness World Record attempt to build the largest ever Lincoln Logs structure, marking the 75th anniversary of the classic construction toy. 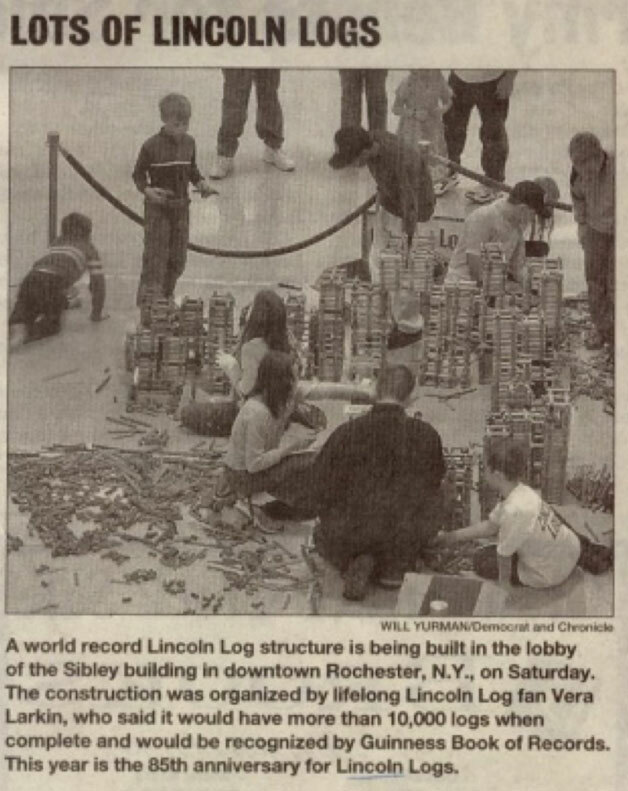 The event, held in a shopping mall in Rochester, NY was covered in time-lapse by NBC’s The Today Show and did indeed establish a new world record. I became immersed in the publishing arena during my PR agency days. 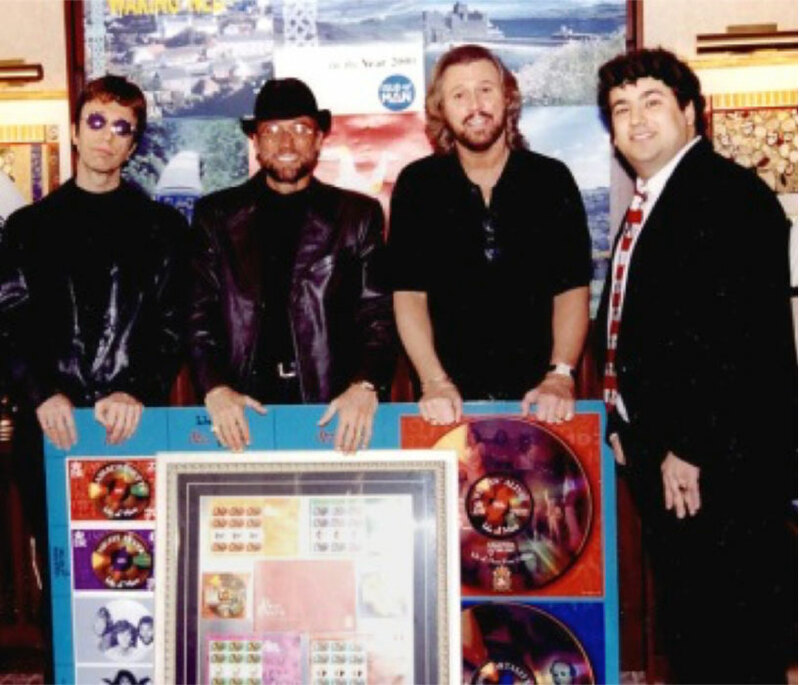 My postage stamp project with The Doors had led me to a freelance book publicity campaign for the band’s legendary keyboardist, Ray Manzarek. Now, I was asked to lead the book launch campaigns for a variety of first-time celebrity authors including Sandy Allen (the world’s tallest woman) and veteran TV actor, Buddy Ebsen (The Beverly Hillbillies). The books hit the bestseller lists, validating my publicity skills in a new medium. One year later, I took on a new career as the in-house marketing director, researcher and social media manager for the iconic bestselling novelist, Barbara Taylor Bradford. It is a position I have held for 14 years. There’s nothing quite like having a front-row seat to observe such an accomplished author work determinedly each year, creating yet another worldwide bestseller. It was during my early days at Bradford that I found the motivation to attempt my first novel. My skills had been kept sharp by writing feature articles for newspapers and magazines through the years. Now reading the prose of other authors convinced me that I too could write fiction successfully. All I needed was a good story to tell. That’s when I remembered the screenplay that brought tears to the eyes of my college classmates eleven years earlier. I dug up the dusty artifact from a desk-drawer, hoping to adapt this story into a full-length novel. It took me four-months of all-night writing sessions to put the full story to paper. I was a new father back in those days and vividly recall my daughter, Amber, hiding out under my desk, seeking attention from her seriously distracted dad. The first draft was far from perfect, but still felt like a life-changing accomplishment. I’d even managed to seamlessly incorporate a dozen of my songs into this musical story. I shared it with family and friends, who touted me as the next Nicholas Sparks or Mitch Albom. Then reality set in. Feedback from publishing industry contacts made me realize that I required an experienced editor. Someone who could point out where action should replace narrative summary, or where my dialog sounded anything but conversational. I was amazingly fortunate to have found Jeannette de Beauvoir, a tremendous writing coach and successful author in her own right. It took months of rewrites, cuts and polishing before we could call it publication-ready. The balance of this rollercoaster ride is a potpourri of agent rejections, partial manuscript requests, constant tinkering, heartache, pep-talks from my wife and more query sendoffs. I would eventually land an agent who touted me as the next Erich Segal and predicted a six-figure advance. But an impasse was reached when our vision of adult fiction differed over the degree of “adult content.” And so it yet again was tucked away, unpublished… until now. I’ve had a handful of offers in recent years to finally see the realization of my literary dream. Stubbornly, I held out for that perfect opportunity that always seemed within my grasp, yet just beyond the horizon. The demands of a career, raising two daughters and paying the mortgage always took priority. But then a brilliant cover design by my artist friend, Robert Sauber proved the ideal stimulus to jump-start the process. Then came an offer by a musical friend, Michael Nadata, to create a mini soundtrack by recording a pair of my original songs from the pages of the book. Harmony River Press presented just the right publishing platform to promote my debut novel as the nostalgic, heartstring tugging, musical epic that I always envisioned this story to be. 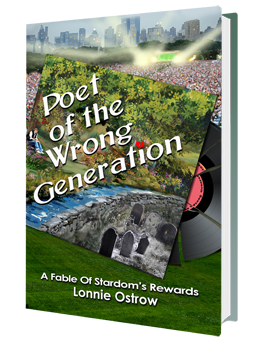 And here, finally, after a 14-year saga of real-life twists and turns, I am proud to share the fictional journey of Johnny Elias and his fable of stardom’s rewards: Poet Of The Wrong Generation. I greatly look forward to your feedback and reviews.